Your Dog is a faithful companion, but he doesn’t know to talk about his health issues. 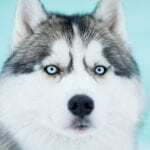 As his owner, you need to know about his pains and help him to live a healthy life. Unfortunately, dogs face many health issues. But many of these problems can be prevented with proper treatments and vaccinations. Here we list Most Common Dog Health Problems with their Symptoms. 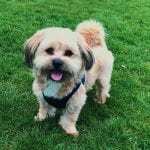 We strongly recommended getting advice from a veterinary surgeon before you start treatments. This is one of the most common diseases in dogs. Mainly occurs around the tooth. Periodontal disease associated with inflammation and as a result deep supporting structure of your doggie can be loose. 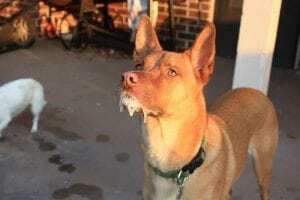 When the food particles and bacteria aggregate along your doggie’s gum line and make a plaque, then the plaque is mixed with saliva and minerals. After transforming to calculus, it causes gum irritation and an inflammatory condition called gingivitis. Periodontal disease is caused due to many factors. Mainly it affects due to aging. This disease commonly caused old age doggies. 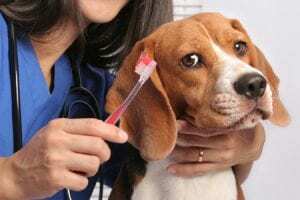 Also, it happens due to the effect of bacteria such as Streptococcus and Actinomyces grooming habits, home care, and diet and chewing behavior, genetics and tooth alignment of your doggie. X – Rays are essential to diagnose this disease. 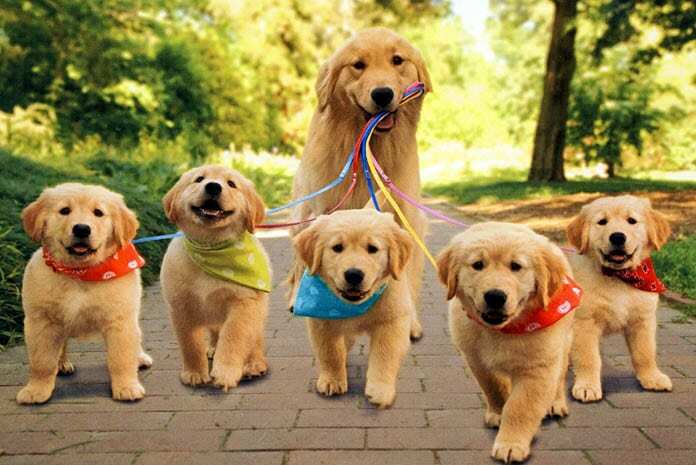 Parvovirus is a most severe contagious viral disease. It can severely affect your doggie’s intestinal tract and attack to the white blood cells (WBC). 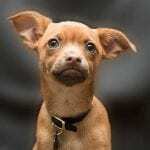 If your doggie is affected by this Parvovirus in his puppy stage that can be damaged to cardiac muscles and cause long-term cardiac problems, this is rapidly contagious and transmitted by in contact with the feces of an infected dog. Parvovirus can be diagnosed through your veterinarian by laboratory testing. ELISA (Enzyme-Linked ImmunoSorbant Assay) is a standard test for Parvovirus. But sometimes this test is not only required according to your doggie’s disease condition. Heartworm is a severe disease that makes the path to serious heart failure, lung disease, and other organ diseases. Heartworm is spread through the parasitic worm called Dirofilaria immits. Those worms are entering to your doggie by the biting of the mosquito. Your doggie becomes the host of this disease. Heartworm disease is not contagious. So this disease cannot be caught by your doggie by staying with infection dog. Veterinarians recommended drug immiticide (melarsomine hydrochloride) to kill the adult heartworms. Treatments for Heartworm are costly. It can be potentially toxic to your doggie. After knowing he is suffering from this disease it is essential to visit your family vet often, get x- rays, and give recommended injections. This is a nutritional disease. 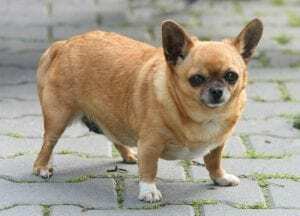 Obesity is due to the excess weight or excess body fat of your doggie. 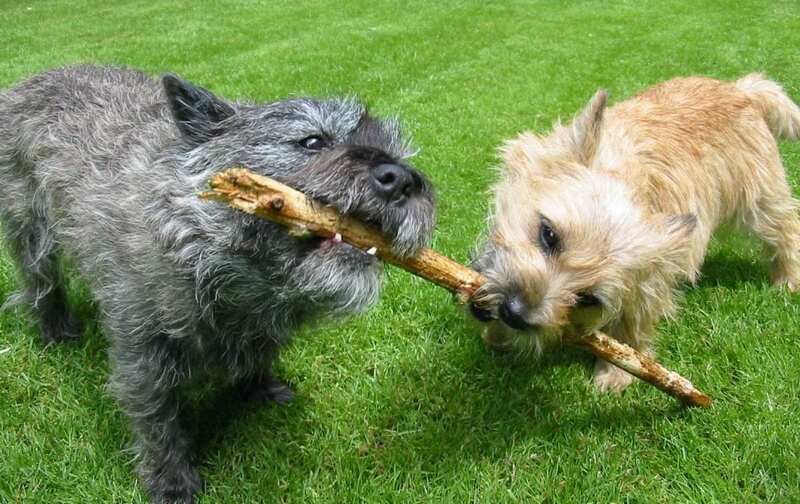 This is commonly occurring to dogs in all ages, but it can often find in the middle-aged dogs. The reasons for the excess of body fat in your doggie are the over nourished him and lack of exercises. Obesity can become life dangerous also. It can reduce your doggie’s life span. The organ’s response for breathing capacity, digestive organs, bones, and muscles can be affected in your doggie. This can be a severe situation. Obesity can be recognized by measuring the body weight of your doggie. A veterinarian can identify by examining his head, tail, lumbar area and ribs. 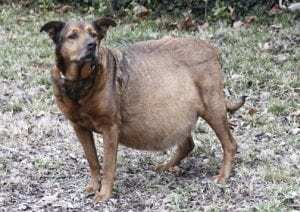 If your doggie’s body condition score than seven, probably he is suffering from Obesity. Rabies is a severe viral disease that affects the gray matter of your doggie’s brain and the central nervous system of him. Rabies is a single-stranded RNA virus. The rabid dog remains his infectious viral particles in the salivary gland. So the virus is transmitted through the saliva. When the virus is entering to your doggie through the infectious dog’s saliva, it replicates in the muscle cells. To save your dog from rabies, you have to meet your vet immediately. Your vet may keep him quarantine in a locked cage. This is the only way of confirming whether your dog has rabies or not. Diarrhea can be caused due to diet changes, severe illness or infections. A single bout of Diarrhea is not caused much effect on your doggie, but if it remains more than a day, it’s better to meet your family vet and check about his condition because it can lead to dehydration. This can be dangerous to him. Diarrhea is caused because of food intolerance, garbage or spoiled food ingestion, allergic reaction, ingestion of toxic or poisonous things, bacterial or viral infections, stress, some diseases, etc. You can bring your doggie to the vet if he is suffering from Diarrhea more than a day. 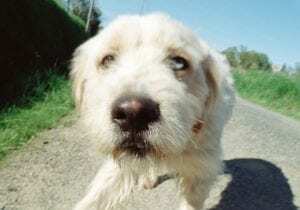 Kidney disease also called as the chronic renal disease is most commonly affected by old age dogs. This disease is mainly caused due to the age, infections of fungal, bacterial and viral, cancer, inflammation, parasites, trauma, and congenital and inherited diseases. Because of Kidney Disease, other regulatory conditions become slow such as blood pressure, pH level, blood volume, water composition in blood, blood cell count, etc. To recognize this Kidney Disease vet has got a complete blood test of your doggie including urinalysis and full blood count. X – Rays and ultrasound imaging also help to find out the shape and size of his kidney. If he has this disease, his kidney becomes abnormally small. Diabetes is caused due to inadequate to insulin or lack of the hormone insulin. To the development of this complex disease genetics, obesity, autoimmune disease, and medications are mainly affected. Diabetes is a manageable disorder. There are two types of Diabetes including lack of insulin production and impaired insulin production. A most common type in dogs is lack of insulin production. 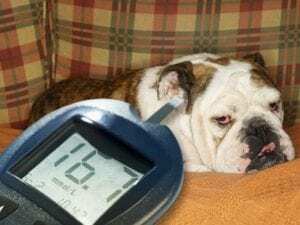 Obese dogs and female dogs that are in their late life can be easily get caught by Diabetes. Distemper is a severe contagious viral disease. 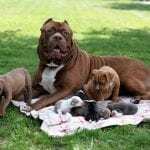 There is high susceptibility to infectious this disease to unvaccinated puppies, young puppies, and nonimmunized older dogs. 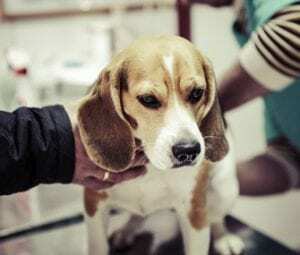 Doggies that have bacterial infections in the respiratory system and digestive system may have a high vulnerability to infect this Distemper. The virus is transmitted through direct contact with blood, saliva or fresh urine. Immediately after if you suspect he is suffering from Distemper you must take him in to vet. This virus is spreading rapidly. This can be diagnosed via urine analysis and biochemical tests. 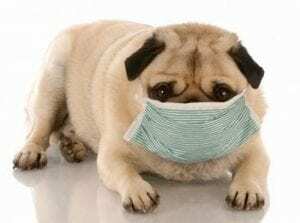 Kennel cough is a common highly dangerous contagious respiratory disease. This is caused by the inflammation of the trachea and bronchi. This Kennel cough may highly infect young puppies and old dogs. Young dogs suffer because they have an immature immune system and older get caught due to the reduction of their immune capability. As treatments of Kennel Cough, you can give him antibiotics, vitamins, honey, cough medicine, herbal tea, and licorice root.